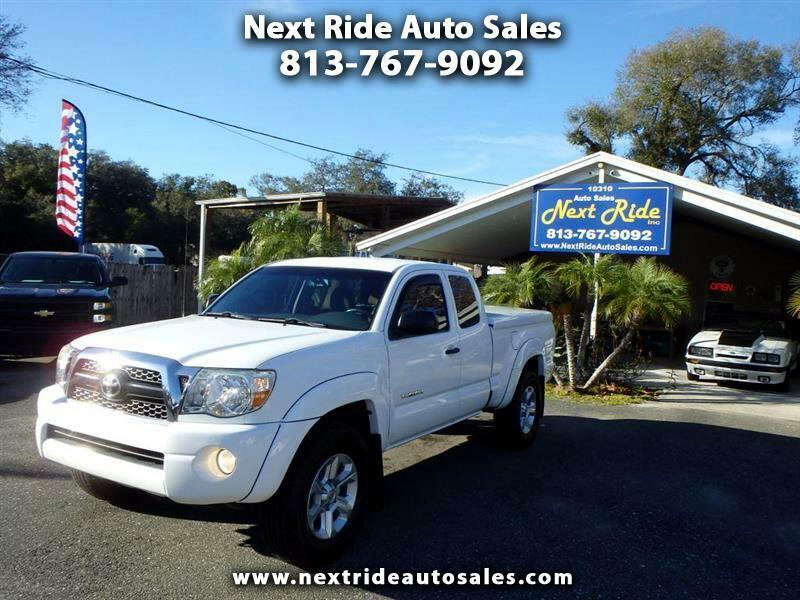 LIKE NEW 1 OWNER NO ACCIDENT NO SMOKER REAL NICE 2011 TOYOTA TACOMA SR5 ACCESS CAB PRERUNNER WITH LOCKING TUNNEAU COVER, BACKUP CAMERA, WHITE WITH TAN CLOTH, 4 PASSENGER, AUTO 4.0L V6 WITH 162,077 MILES. 3 KEYS, 2 REMOTES, 2 TUNNEAU COVER KEYS, CHROME BUMPERS AND GRILL, TOWING PACKAGE, NEW 265/70/17 TIRES ON FACTORY ALUMINUM WHEELS, MP3 WMA CD, AUX/IPOD JACK, CLOCK, XM, POWER WINDOWS, LOCKS, MIRRORS, KEYLESS ENTRY, BLACK LEATHER WRAPPED STEERING WHEEL WITH CONTROLS, TILT, CRUISE, REAR SLIDER WINDOW, FLOOR MATS, FENDER FLAIRS, A/C, RAIN GUARDS, TINTED WINDOWS, FOG LIGHTS, NEW SPARE TIRE WITH JACK AND TOOLS, TRACTION CONTROL, MUD FLAPS. VERY NICE WELL MAINTAINED TACOMA PRERUNNER!